Richard writes fiction in which ordinary people are thrown into extraordinary circumstances in order to witness the results. From horror to comedy, his stories and novels seek to entertain, inspire, enlighten, and amuse. “Trying to Stay Dead”, read in the October 28, 2011 edition of Pseudopod. “A Most Heinous Man” was also featured in Best of Andromeda Spaceways Inflight Magazine Volume 2. “The Bride Price”, published in Issue #10 of Shimmer, March 2009. There’s an author interview with me up at their site as well. You should check it out. “Night of the Frozen Elf” is online at Tales of the Zombie War. 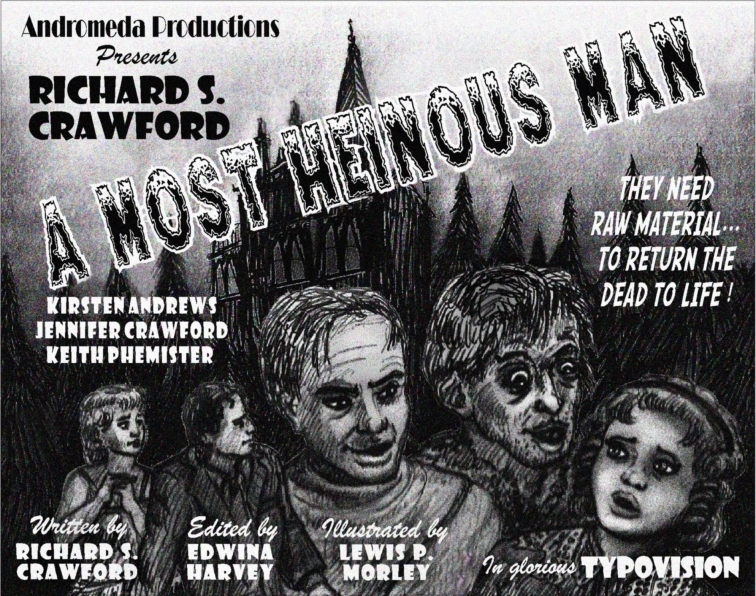 “A Most Heinous Man”, published in Issue #33 of Andromeda Spaceways Inflight Magazine. “Who Remembers Molly” can also be found in Don’t Turn the Lights On. Sales of this book benefit the Best Friends Animal Sanctuary in Kanab, Utah. I’ve also put these stories online for your enjoyment. All of them are copyrighted to me, and all rights are reserved on all of them. They definitely NOT put into the public domain. These are stories that are set in a world where vampires, mad scientists, and others roam free. I was going to call it my “Monsterverse”, but Tojo owns that title. Then I thought, “Dark Universe”, but now Universal owns that. So “My Monstrous Universe” it is. I thought it would be interesting to examine some of the history of one of the characters from my novel. Prophecy? fate? Or just a bunch o’ dang weeds? Christmas time is here! A slightly modified version of the classic tale. Murderous deeds lead to a hidden secret code. The true story of the vanishing hitchhiker. An argument of some sort. Perhaps. The day of the Rapture has come, but our hero is having problems. Finding your place on the Emperor Norton Bridge.